After avoiding the press for 23 years, the legendary athlete retired from baseball to become the world’s least likely media mogul. This article originally appeared in DuJour Magazine. If you can’t seem to remember the last time you read something juicy, or scandalous, or even remotely revealing about Derek Jeter, that’s because you haven’t. Of all the skills that the future Hall of Famer mastered throughout his celebrated baseball career, it was perhaps his deft handling of the media that made him a true sports-world anomaly. 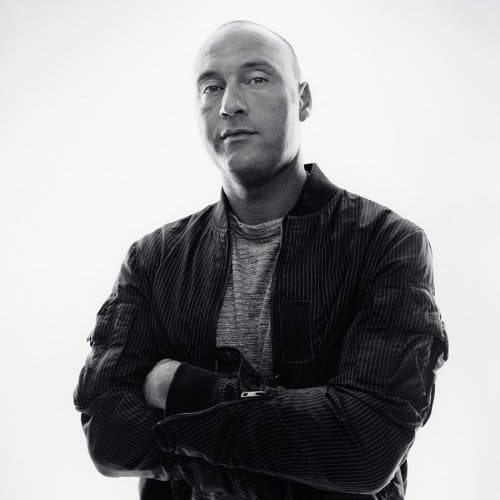 Jeter spent more than two decades perfecting the delicate art of “I’d rather not say” during interviews, dodging intrusive questions with a militaristic self-discipline that would make any political handler swoon. So when it was announced in October of last year—just days after his retirement from professional baseball—that the traditionally press-averse athlete would be launching, of all things, a media company, the news raised some serious eyebrows. In Jeter’s mind, it was a no-brainer. He’d felt, for a long time, that athletes needed an outlet where they could share their stories openly, without worrying that their words would be manipulated to boost traffic or newsstand sales.